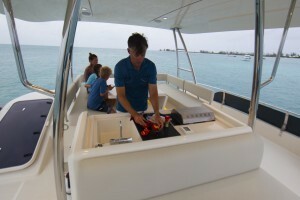 Water Capacity : 206 Gal. 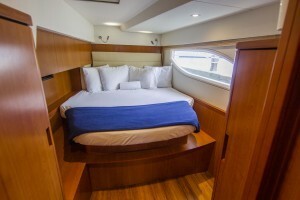 This luxurious pure-bred power catamaran is truly your personal cruise ship, providing you with the freedom to explore the exciting destinations at your leisure. 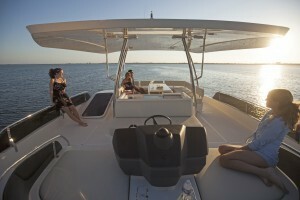 Your vacation with family and friends is sure to be an unforgettable experience aboard this power cat outfitted with technological advancements in comfort, safety, and design. 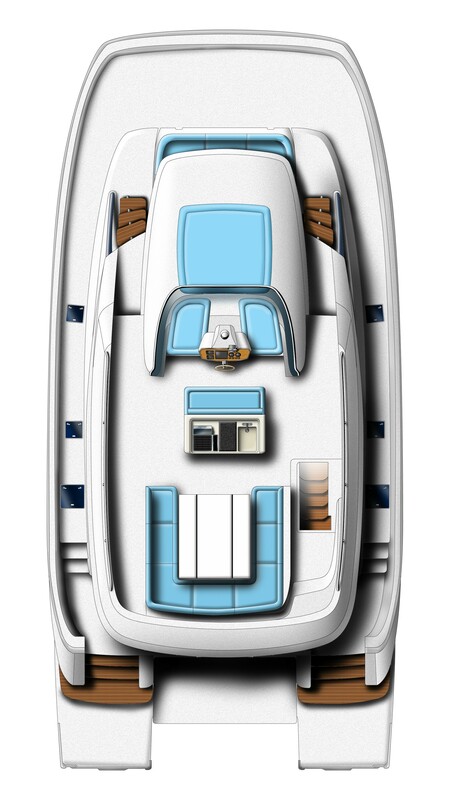 The MarineMax 484 was developed to be an exceptionally comfortable cruising boat as a result of the integration of advanced technology in all design and build decisions. 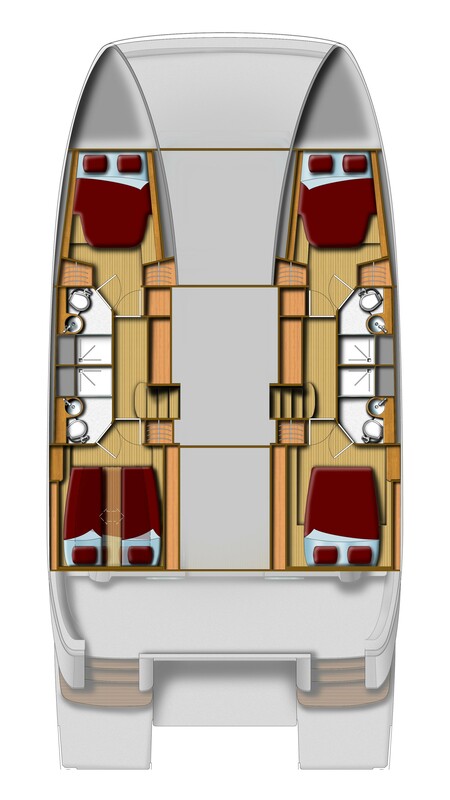 From the fully tank tested hull shape to the selection of materials and manufacturing process, every consideration went into creating an unprecedented, pure-bred power catamaran unlike any other in its class. 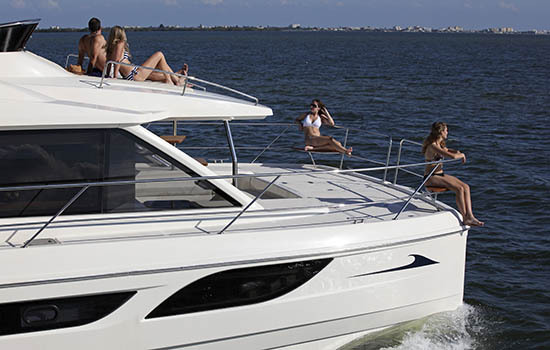 The MarineMax 484 was built to CE certification, Category A, which is the recognized international standard for recreational boats. 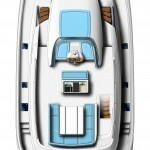 The unique state-of-the-art manufacturing process not only has huge structural and weight advantages for the vessel but is also the most environmentally friendly process for fiberglass yacht construction. 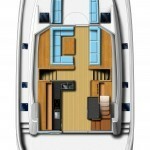 A chilled water A/C system and Spectra watermaker provide great living comfort aboard the boat while you enjoy the four spacious and luxurious private double cabins that not only have the thickest memory foam mattresses available, but also each has en-suite toilets and separate showers that operate off a fresh water plumbing system. 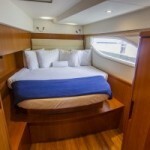 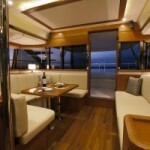 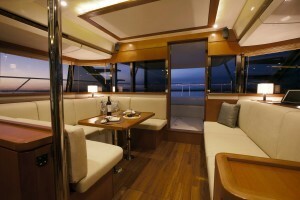 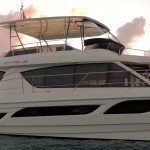 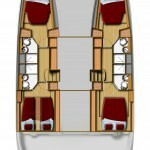 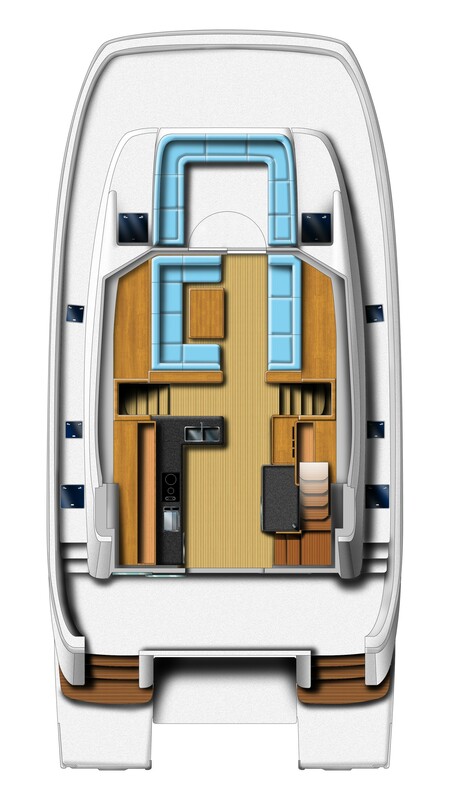 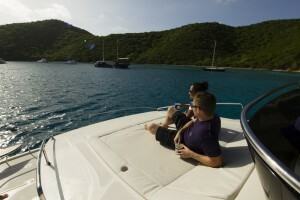 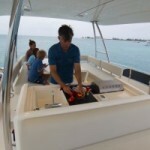 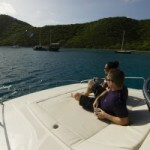 Additional features include a covered forward lounging and seating cockpit accessible from the main saloon, Raymarine e12 navigation system, unique hydraulic swim platform, Kenyon electric stove, Kenyon electric barbecue grill, wireless connectivity, and generator. 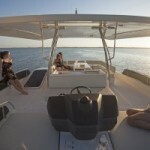 The generously oversized fly bridge features a centrally positioned helm station with excellent visibility for ease of maneuvering, seating for the entire party, and sunbathing pad.